Country music lost a legend this week when Merle Haggard left us on April 6—his 79th birthday—due to complications from pneumonia. The singer and songwriter embodied what many consider to be the core foundations of country music, and his songs about hard time and hard living among anthems for small-town working men have resonated with millions over the years. As we all mourn the loss of a country music hero, we also celebrate the gifts he left us. Here are seven essential songs for those who loved Haggard or those who are just getting introduced. Haggard had already landed four No. 1 singles by the time this single was released in 1968, but the country star’s incarceration a decade earlier gives this rueful number a particular authenticity. “I turned 21 in prison doing life without parole / No one could steer me right, but mama tried—mama tried” may not have been strictly autobiographical—Haggard never served a life sentence, after all—but he did his share of hard time for offenses beginning in his teenage years. 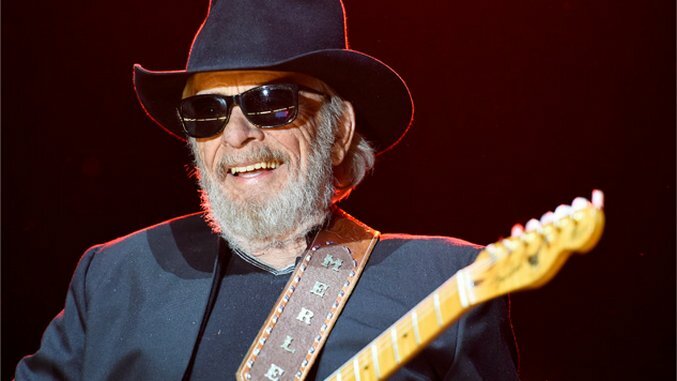 “”Some things we fudged on slightly to make it rhyme, but the majority of it’s pretty accurate, I guess,” Haggard told NPR of the song in 2010. “I was probably the most incorrigible child you could ever meet. I was already on the way to prison before I realized it, actually.” The marrying of sweet sentiments towards mama and the gruffness of life behind bars has lent the song a staying power in country music and popular culture at large, and the track has been covered by a multitude of acts, including The Grateful Dead, Reba McEntire and The Everly Brothers. An ode to the blue-collar man, “Working Man Blues” immediately strikes a chord for its relatability and clever lyrics about simple points of pride and the grind of the workweek. But “Working Man Blues” and its ilk represent something bigger within country music: with what became known as Bakersfield sound, songs like this one pushed back against the slicker, rock-n-roll production behind popular country songs of the day. Sound familiar? With “Working Man Blues,” Haggard celebrates the grit and the glory of not only the American worker, but of country music as a whole. Haggard’s 26th No. 1 get’s right down to the point: “I could be holdin’ you tonight / I could stop doin’ wrong, start doin’ right / But you don’t care about what I think / I think I’ll just stay here and drink.” A time-tested barn burner and a lesson in not-giving-a-damn, “I Think I’ll Just Stay Here And Drink” revived Haggard’s career in the ‘80s and has continued to find new life through covers and collaborations. Another late-‘60s, early-‘70s song inspired by the war in Vietnam, “The Fightin’ Side of Me” takes issue with the idea of protesting and makes a case for patriotism in times of war. “When they’re runnin’ down my country, man, They’re walkin’ on the fightin’ side of me,” he said. The song immediately gained popularity and, much like Okie from Muskogee, gave a stake in popular culture to the conservative small-town voice. Even the most staunch city-dwellers, at one point or another, can relate to a sudden, sweeping urge to get the hell out of dodge. “Turn me loose, set me free somewhere in the middle of Montana,” sings Haggard on this number, which grew out of a disgust for the filth of city sidewalks. The title track of his 1982 full-length, the song was one of many that glorified freedom from the big city and the benefits of small-town living.